Many have asked this question. This is one that has crossed the mind of many sports enthusiast but is there any major differences when it comes to men coaching versus women who coach sports. It is a controversial topic one that can unleash hours of constructive disagreement and dialogue, yet it also a topic that needs to be explored. This is where sportsmen need to take a step back as women tend to be more coachable and more adaptable than males. Many sports coaches agree that female athletes accept new techniques easier and are especially open to anything that boosts performance. When it comes to respect females give their coaches a lot of respect instead of making their coach prove credibility, they are also far more appreciative and express their gratitude more willingly. It is female athletes that strive to impress their coaches and is much easier motivated. Sportsmen are convinced of their ability, which makes them less coachable. Male athletes feel they know the sport as well as their own power and often dismisses what coaches suggests and at times question the coach’s credibility, so often male coaches need to prove themselves. It is not unheard of that male athlete’s brace against the coach, but to be fair, it also depends on the coaching approach, in case a coercive style is used it is known that male athletes will seek ways to prove the coach wrong, in the same situation female athletes shut down. But then again coercive coaching in many instances can yield desired short-term results. For any athlete confidence is critical, and both women and male can struggle with it, although it seems woman struggle most with it, and have a tough time even when they become elite athletes. While confidence in male athletes almost comes naturally as men are taught toughness and confidence from an early age. Male athletes depersonalise criticism in general, which forces coaches to be more specific and once sportsmen realise the criticism is directed at them they tend to fight it. Females always think the criticism is aimed at them, even when it is not, and they are a lot more sensitive to all comments made by the coach. It is probably in criticism where the biggest difference between male/female coaching is visible and even during matches females takes any loud tones or blunt language from the opposition as a personal attack. In both genders, chemistry is majorly important although it is again even more so for females. Each of the female athletes wants to feel connected to everyone on the team, while male athletes are less concerned about chemistry. This demands that coaches of female athletes are sensitive to the team’s social cohesion, while male coaches need to focus on task cohesion and making sure everyone is committed to the same goal, embraces their roles and are on the same page. A new mental health action plan was recently unveiled by the UK Government, its aim is to improve the support available to elite sportsmen and women. 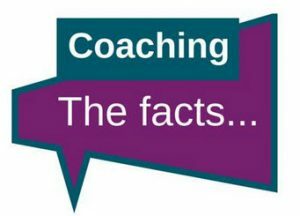 Due to the new action plan both support staff and coaches will receive additional training to identify the signs of mental health problems in athletes.The new mental health strategy will improve awareness as well as promote the mental wellbeing of athletes while at the same time provide the National Governing Bodies with the information needed to properly access clinical and sports psychologists. Elite sports must by 2024 implement the mental health procedures as part of its performance plans as well as offer all athlete’s clear pathways to access the assistance they need via professional mental health support. Athletes funded by the National Lottery will also be encouraged to make use of the action plan by visiting mental health units to help break down and improve the stigma around mental health. Part of the plan is also to embed good mental health practice at the grassroots level. Should Sports England succeed with ingraining mental wellbeing via a strategy that includes teaching mental health welfare alongside athlete physical training it could change sports around the globe? Developed by the Minister who also hosted roundtable a year ago, one with the elite athletes across all aspects of British sport and the other with mental health organisations, the conclusion was that an action plan could improve the support available to elite sports stars. Civil Society and Sports Minister, Tracy Crouch shared that sport has a positive impact on individuals mental health, it is when a sport is your main income and thousands of fans depend on your performance, the enormous pressure athletes are under to succeed, can become too much. The action plan sees mental health and sports organisations work closely together to provide athletes with the correct support well in advance and before the situation reach crisis point. 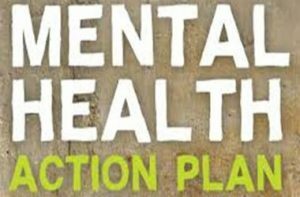 The Chief Executive of Mind, Paul Farmer feels that the mental health action plan is an important step in ensuring that elite athlete can easily access support and help for their mental health, clear objectives are set in the plan. He also shared his delight that both Civil Society and the Minister of Sport is actively involved in the action plan. In the UK, and probably worldwide, one in four are affected by a mental health problem and professional sportswoman and men are no different. There has been an increase in sportspeople coming forward to reveal mental problems such as anxiety and depression, which confirmed the urgent need for an action plan. Still, no one knows how many athletes are still struggling in silence even though more and more are speaking out and asking for help regarding their mental health problems. The first step is to offer elite athletes a safe-haven to discuss any symptoms at an early as possible stage, to then enjoy the care and attention needed and to get the situation under control. Choosing just one of the greatest sports coaches of all time is a massive task no matter which sport you’re passionate about, and when the New York Times tried to select one, it failed as they halted their search once these names came up. It’s impossible since how do you choose when the names include the NFL star Vince Lombardi, College football super-star Larry Kehres, Scotty Bowman a master in hockey coaching, tennis’s Richard Williams, soccer’s Alex Ferguson, and then still need to add College basketball’s Pat Simmitt. Long before Alex Ferguson became a household name or started filling up the trophy case of Manchester United, he was already doing remarkable things for Scotland’s St. Mirren team as a soccer coach. As he took over the running of the club in 1974, by 1977, he led the team to a title win in the first division only one rung below that of the top league. Ferguson moved to Aberdeen by 1979, which was a respected club in Scotland but hardly the match for the perennial powers of the Rangers or Celtic. By 1983 he achieved astonishing results by leading Aberdeen to its first European title over Real Madrid as his team claimed the Winners’ Cup the powerhouse of Spain. Just with the list of achievements mentioned up to now, it makes for an illustrious career in sports coaching. Yet for Ferguson, it was never enough, and he went on to do remarkable things for the mighty Manchester United team during his twenty-seven years at the helm. 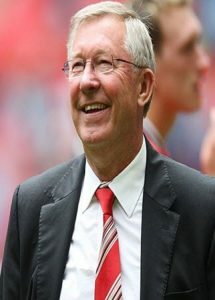 Ferguson retired at age 76 as the manager of Manchester United and during his years pushed the team to win thirty-eight trophies. It is easy to vote for Ferguson when it comes to the greatest manager and greatest coach in history as he not only qualifies in soccer but also in any other sport on any continent. 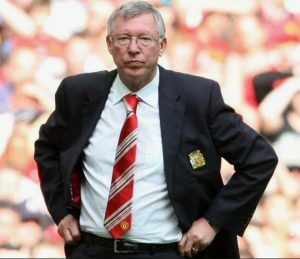 In 1999 Alex Ferguson was knighted and became Sir Alex Ferguson, it was also the year in which he famously won the Champions League, FA Cup and Premier League. When it comes to Sir Alex Ferguson’s Manchester United Trophies you start understanding the real impact he had on the powerful team. Sir Ferguson’s playing career started when he made his debut as a 16-year-old striker with Queen’s Park. According to him, the first match was an absolute nightmare, although he scored a goal in the 2-1 defeat against the Stranraer’s. He went on to score 20 goals in 31 games for his very first team. Should Men and Women Receive the Same Kind of Coaching? 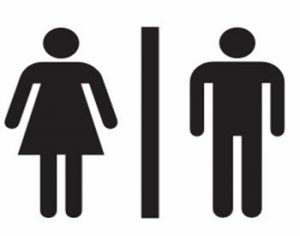 While coaching shouldn’t be a gendered activity, it does go without saying that men and women are a bit different in a few areas. To put it simply, women are not just men in skirts, and while they can complete the same task on the field, the two genders do act differently regarding their mindsets, behavioural choices, preferences, communication styles, and even how they view the world. However, this is something vital that many coaches miss on instead of tailoring their coaching habits to suit the personal needs of each player better, they seem to disregard the gender aspect. This is not to say that women cannot play as impressively on the field compared to men, but the coaching and advice given to the female players should vary from advice given to male players. If you’re a coach reading this, and you are still a bit confused onto why you should slowly start to practice tailoring your coaching style for male and female players, listed below are a few reasons which could serve as a motivation on your side. Research from a countless number of studies has shown that at a base level, women and men are different – especially when regarding their professional success, how they view happiness, and rewards. Typically, female players have a different viewpoint on an array of areas that may differ from the male players, such as their work-life balance, ultimate goals, leadership needs, and the impact they want to make in their personal lives and while playing on the field. To put it simply, you may have a solid approach with your male players which can motivate them to perform their best and improve their skills, that same approach may not work as efficiently on female players. This is not a way of saying you should go easy on them in any way – but as a coach, you should consider viewing the players as individuals and relate how you motivate them in a way that is relatable to their lives. Though as any great coach should know, coaching is not like a pair of pants that has a “one size fits all” sticker. Instead of just focusing on the gender of the players, which can cause some issues. Instead, you view each player as someone who has the same goal in mind of being great and leading the team to success while still being their own people. Plus, one of the best ways to get more comfortable with this idea if to mentor a female only team or become friends with coaches who work mainly with female players. This will give you a broader approach as you would have the extra experience of working with the players and seeing the variety they can come in. Coaching is deeper than having a single plan of coaching. It’s all about operation, motivation, and tailoring your skills for the betterment of each player on the team. While activities such as walking require little equipment, other physical activities require the correct equipment for the prevention of injuries. Most importantly the equipment required need to be in good conditions especially when it comes to sports helmets. Sporting injuries can involve either over-use or traumatic injuries, of with the latter occurs suddenly and show in most cases instant signs of injury via bruising, swelling or pain. These injuries could be caused by internal factors such as a muscle pull while others happen due to external factors such as the collision with another person. External injuries can also be caused by equipment in which the most common are blisters caused by using new shoes or a new racket. Injuries can also occur via accidents and the main aim of taking safety precautions is to prevent accidents. Some sports activities have a much higher risk of injury than others, in ice skating or dancing there is the risk of slipping, or a performer dropping his/her partner. Outdoor activities are in most cases riskier especially challenging activities such as rock climbing, skiing or canoeing. Internal injury causes build up over an extended period, which makes them more challenging to diagnose and some that are quite common includes stress fractures, shin splints, tennis and golfer’s elbow. Wearing the correct footwear is important no matter the physical activity since most boots or sports shoes provide cushioning and blisters is most common when footwear is not a proper and comfortable fit. It is most important to replace footwear that is worn-out no matter whether you’re a runner, cyclist or rock-climber as it prevents sprains and twists. Mainly worn in action and contact sport such as boxing, rugby, hockey or soccer, mouth guards protect the mouth and the face. It is highly important that it should be made by a dentist to ensure the mouth guard fits properly and offers the best protection. In physical sports such as American Football, hockey, football or cricket players are protected via several forms of padding to prevent injury. In cricket, participants wear gloves, arm pads, leg pads and helmets as well as a box guard to protect them during wicket keeping or batting. Hockey players and footballers wear padding in the form of shin pads, while goalkeepers wear body pads, helmets and leg pads as protection. It is most important that the pads are placed correctly to be effective. Individuals who partake in outdoor sporting events normally use additional safety equipment, sailors and canoeists wear life jackets and buoyancy aids to assist in the case where they land in the water. Mountaineers and rock-climbers use harnesses with safety ropes attached to help in case of a slip or fall. Safety equipment is vital whether individuals follow a fitness plan or participates in any form of spots since a single injury can knock back your fitness for months. Over the years, there have been numerous lists of the best coaches who led their teams to success. While the success comes from a smooth cohesiveness of the coaching staff and the players – some of the top coaches are giving some words of advice that any coach can take into consideration and apply it to themselves and their teams. 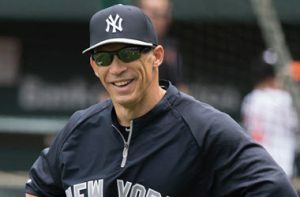 One of the best examples comes from Joe Girardi, the coach of the New York Yankees who helped the team win their 27th championship title. He has a well-known record of winning over 500 games while being a manager, though, there is a science behind his constant stream of success other than having fantastic players. Girardi admits that he always tells his players before a game to listen to their guts rather than sticking to the plan. To put it simply, he is a strong believer in the belief that overthinking causes more bad than good – if you are prepared, playing and adapting is going to become a second instinct on the field. Girardi continues that this information can be applied for both rookies and professional stars. He believes that the coach must lead by example and ensure that the players are prepared both physically and mentally before each game, while also knowing their strong and weak points. 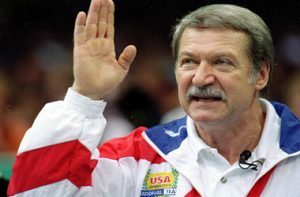 Bela Karolyi is the pro at adapting to a player’s needs as the gymnasts who trained under him have earned a total of nine gold medals at the Olympics. Karolyi thinks that ensuring that you teach each team player an in individual as they all have different characters and respond differently to different coaching techniques. He happily reminiscence about a few of the girls he coached, such as the stark comparison between Nadia Comaneci who was like a racehorse ready to go, while on the other hand, Kerri Strug was softer and needed the reinforcement of her skills to be successful. Just having a different approach to a one on one with the players can drastically affect how they perform when its time to go – and most of the time if the coach has tailored their approach, it can lead to trophies and gold medals. Sir Alex Ferguson name may ring a bell as he is one of the legendary coaches who managed Manchester United. During an interview, he decided to reveal some of his tips which lead the team to the successful reign it had. One of the main things he noticed that it’s only a few players that get better with criticism, the approach of trying to be more encouragement has shown a countless amount of times to result in better gameplay and higher motivation. Even when he must correct a player, he would do it at the moment and move on instead of the constant berating which is commonplace. Ferguson admitted that observing was the saving grace. Watching if a player changed in any way easily helped Ferguson step into the place and ask what was going on – what changed to cause a change in the playing ability. Most times, just showing this kind of concern can easily nip a player going into a hole and losing their spark. One of the biggest questions in the world of coaching does have an answer, even if that answer is coming from an unexpected source. Though after hearing it, you might agree that this is some of the best coaching advice that any coach can receive. However, this advice is going to stem from you more than anyone else. The best way to get the answer is to imagine yourself in our older age, maybe in your nineties, after you reached the point of knowing the importance of things in your life. This is considering both your personal life as well as your career. After you get this image clear in your head, just remember that this is some of the best advice you’re going to be getting and it’s coming from an older you. Firstly, take a few deep breaths and get used to it, but in this case, think to as if you were slowly passing away and taking your final chance to breathe. But instead of meeting a morbid fate, you were given the gift to travel back in time to help yourself today and give you the best personalised advice you possibly could. Advice that would lead you to live out an incredible life. Its true, the older version of yourself knows exactly what is truly important in both your personal life and your coaching career. While this may seem like a big step which involves processing information and evaluating – just take your time. Write out the things that appear in your mind more than once and separate them into two categories – one for personal advice about relationships, family, etc., and one for professionalism. No matter what, if the older version of you thinks that you’re doing well in these areas then you probably are making the right choices for yourself now. Although, if older future you think you’re screwing up somewhere – chances are you might be. Just remember at the end of the tunnel there’s only one person that you should day your impressed – yourself. In the western world, there is a common mantra that is commonly heard daily – the “I will be happy when …” idea. It starts off innocently enough with thoughts of happiness relating to tangible items, such as after getting the promotion, the increase in money, the higher the status. Though this is a disease and the best way to cure it is to start finding happiness and meaning in your life presently. The fact of the matter is when your older and, on your deathbed, it’s going to be family and close friends waving goodbye – the job or your coworkers won’t be in most cases. So, be sure to prioritise what’s truly important to you. One of the most notable recurring thoughts of older people is the wish that they followed their dreams way earlier instead of using them back. Its true, not every dream is achievable or realistic, but that doesn’t mean that you should just automatically give it up before even starting. At least with that mindset, you can always say that you tried rather than come up with reasons on why you didn’t. It’s a well-known fact that historically, all great leaders have a certain set of qualities which makes them stand out from the crowd. These leaders are expected to have a great deal of knowledge and are looked up to by many due to their seemingly endless amount of answers that they have for a variety of questions. While today, the definition of a leader has changed more as different skill sets are being prized other than being an all-knowing leader. Having all the answers is considered to be ill-advised due to the plethora of other issues that can be formed. Although, one way that the leadership position is being changed is by the new role it has taken on: that being a coach. While using new methods that are simple and easy to pick up, coaches, who are the leaders of their teams, can still find great ways to help their members while not always knowing the right answer at every time. 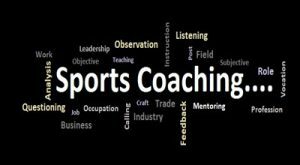 Coaching is more than just lading a team to victory. 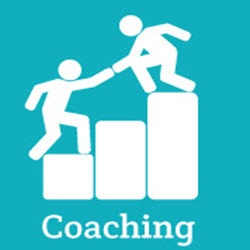 Instead, coaching requires developing a deep connection with your players, helping them develop into stronger and wiser people, and pushing them to be their absolute best no matter what challenges they are facing. While all coaches, or leaders, have their own style of being successful – there are still two main actions that any leader will need to master. While hearing and listening belong in the same category. There is a core difference between the two – hearing is a simple process where information and sounds are taken in, so we can absorb it. Although, listening is an entirely different level. When you truly listen, you take in the information received and react to it in accordance with how the other person reveals the information. Becoming an effective listener as a coach is a key tool needed to be a successful leader for your team. It requires you to hold eye contact while listening – just to ensure that you can read the expressions of whoever is relating information back to you, no matter if it is a player, another coach, or a referee. Moreover, this process requires our undivided attention so that none of your players feel as if they are being ignored. Remember: All great leaders must listen without bias and must listen with their full attention. Empathy can be seen as a weakness while playing on the field or court by many. Although, being a leader with a strong sense of empathy can change the way your players feel towards you as their coach and leader and vise versa. If empathy is missing in the coach and player relationship – creating a deep connection is nearly impossible. While being empathic may be seen as enabling your players and excusing poor performance, this could not be further from the truth. All great leaders and coaches who lead successful teams to championships and league titles were able to be empathetic to their players when needed. Being able to empathize with the struggles of your payer is key to helping them build a stronger bond where they feel as if they can trust you, your advice, and judgment – on and off of the field. Baseball is a sport that calls for coaches to take on a demanding role of planning the best way to win a game where even secondary factors, such as the windiness, can affect the outcome of the game. While these coaches have made a few mistakes in there lives, they have still made it on the legendary list of baseball coaches for the massive successes that have had while coaching. Their commitment and dedication made the teams successful and well-known as the ones that you don’t want to mess with. Listed below are the top 5 coaches in Baseball who have left their mark on the game. 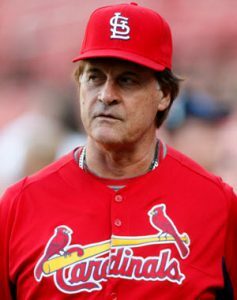 Tony La Russa is the typical success story of a man who excelled as he climbed the ladder in the MLB. Born in 1944, he quickly became a head coach for a team. Although, La Russa also attended Florida State University where he received a law degree which just adds to his personal success outside of being a coach. During his career, he had lead teams to win a combined total of 3 World Series,12 division titles, along with 6 league championships. What is more impressive that in total, over the last 33 seasons where he has been coaching, his teams have won over 2,728 games. He was inducted into the Hall o Fame due to his success while coaching and the impact he had on baseball and the players. Originally known as George Lee Anderson easily rode to the top during his career of [laying for the MBL. Soon after he begun to manage teams who reached championships. Anderson is known for holding the titles of being the first coach ever to win 2,194 wins for the teams he coached along with winning both World Cup Series. Anderson found himself being inducted into the hall of fame in 2000 due to his success. 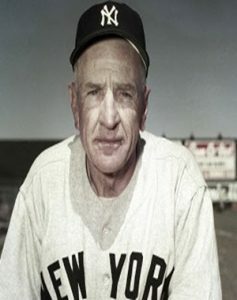 Casey Stengel played as an outfielder before climbing the ladder and becoming a coach for the MBL. He was well-known for coaching a variety of teams, although his most popular series was when he was coaching for New York. He holds his own title of being the only baseball player to ever wear all four team uniforms from the New York based teams. Moreover, he is known for being one of the fir people who has managed to internally renowned Nets and Yankees. Born in Brooklyn, New York, Torree made his way p to being one of the top players in the MBL who was best known for his impressive record of reaching 2,000 hits. Once he became a coach, he won 2,000 games. Both of these achievements were the first ever to happen which helped Torree gain fame. During his career, he spent 29 years working as a manager and accomplishing goals no one through possible – such as having a .605 winning percentage while working with Yankees, winning 4 World Cup Series titles, along with 6 American League pennants. Eventually, his achievements landed him in the place in the National Baseball hall of fame in 2014.